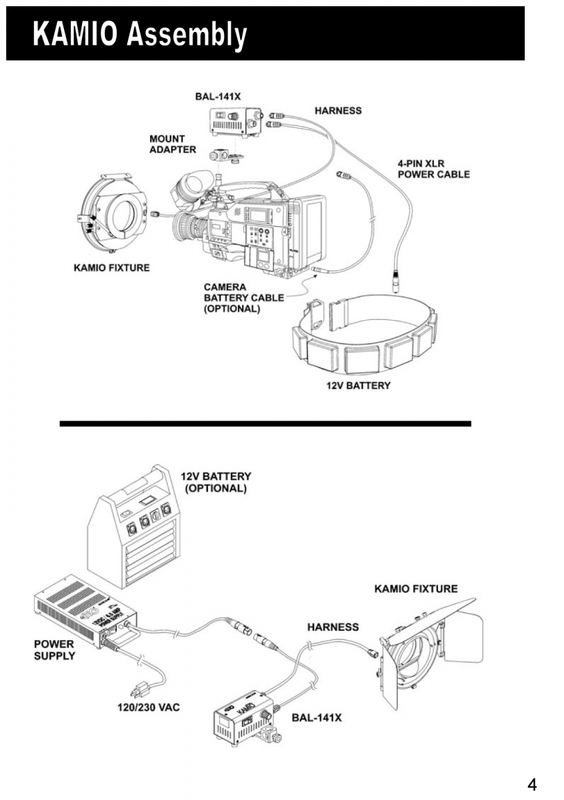 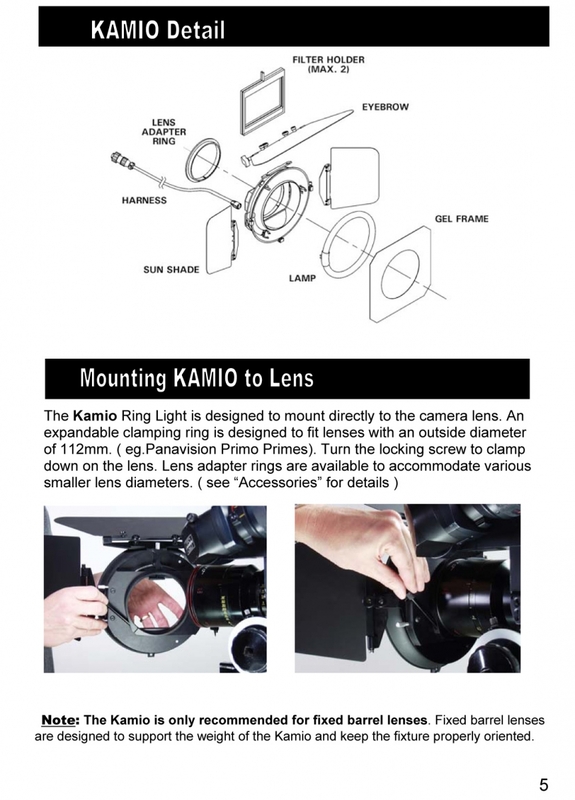 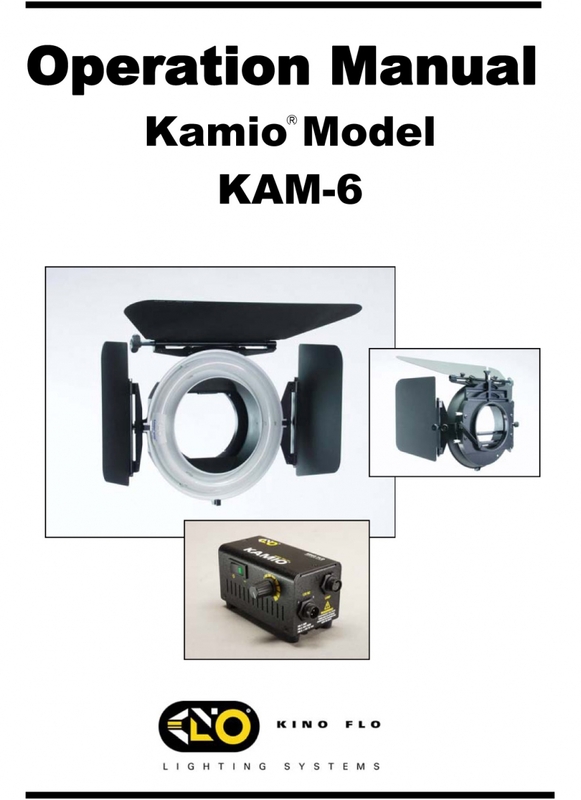 The KAMIO 6 is a combination ring-lite and two filter stage clip-on matte box that mounts to the lens of film or video cameras. 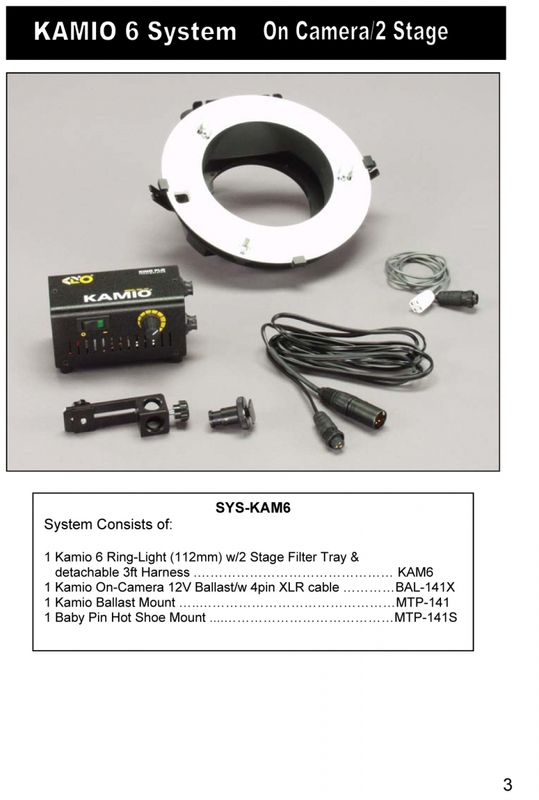 It is powered by an on-board 12VDC dimming ballast. 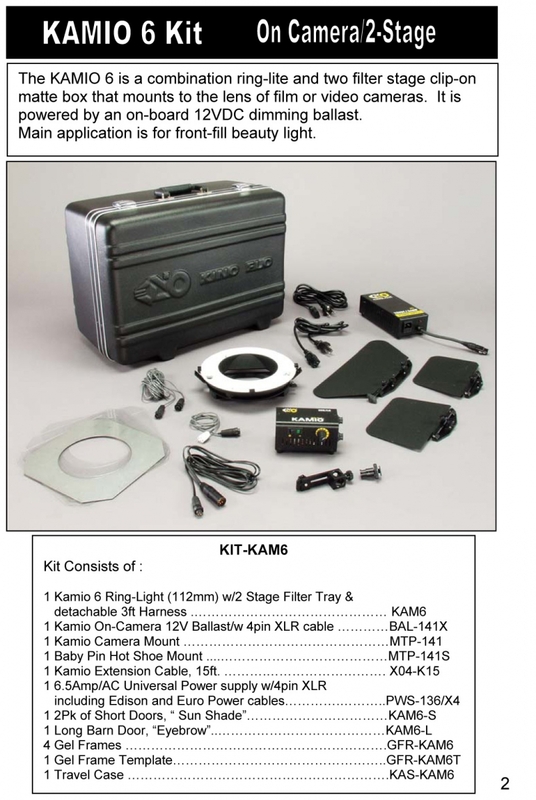 Main application is for front-fill beauty light.